Toyota has appointed Skoda marketing boss Andrew Cullis as its new UK marketing director, after he spent just six months at the VW-owned car marque. Cullis, who has experience working in marketing and PR across automotive brands including Hyundai, Citroen and Vauxhall, was head of marketing at Skoda UK. Before that, he spent seven years as marketing director of Hyundai UK after being appointed in 2008. At Japanese car firm Toyota, his responsibilities will range from advertising, sponsorship and media planning and buying, to digital, retail support, pricing and events. 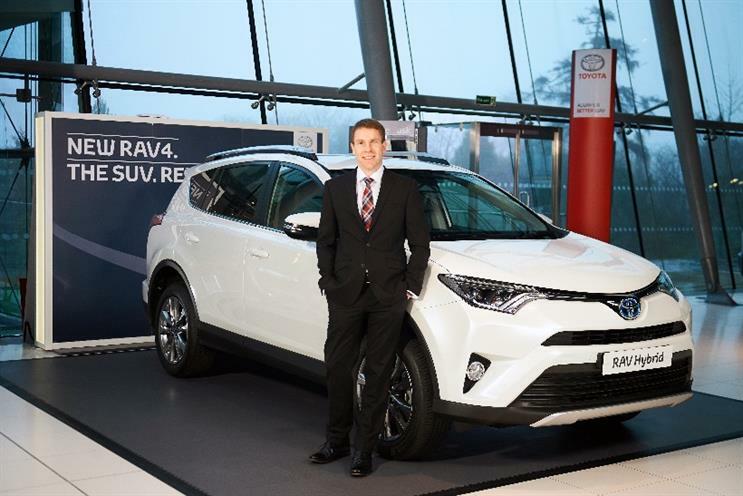 Paul Van der Burgh, Toyota GB’s president and managing director, said: "Andrew joins Toyota at an exciting time as we reinforce our leadership in hybrid and other alternative power technologies, with new models such as the Mirai hydrogen fuel cell saloon and future products such as new Prius and RAV4 Hybrid. "He has all the right marketing credentials to help develop the brand and deliver on our promise to bring ever better cars to the market." Cullis took up his new role on 4 January. He succeeded Chris Hayes, who in the summer became Toyota Motor Europe’s head of pricing.